Your Lexington on Central experience begins with a tour of our charming community area, complete with a 24-hour athletic center, resort-style spa and welcoming clubhouse including a flat screen television and cyber cafe. We are a pet friendly community that you will truly love calling your own. We proudly offer bay windows, granite bar tops, private entries and roman-style tubs that provide a classic style unique to The Lexington on Central that you just won't find anywhere else in Alhambra. Huge walk-in closets, stainless steel appliances and in unit washers and dryers are all part of the modern luxury you will enjoy in your new apartment home. 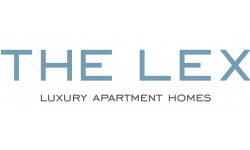 When you see for yourself and how all this comes together in one place, it will be clear why we say The Lexington on Central is the prime destination where you can enjoy the finest living in Phoenix. Come visit or contact us today for your personal tour.